Reduce the pain and swelling with ColdCure® Technology. Is Tendonitis pain preventing you from doing everyday tasks? Are you unable to take part in the activities you love? Get your life back with ColdCure® and BFST®. 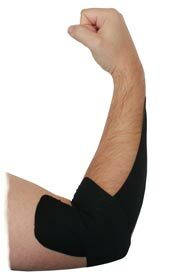 Our ColdCure® Wraps do an excellent job of relieving the pain and swelling of Tendonitis. This is the first step in the healing process. Once you've got the swelling under control, you can start doing BFST® treatments. The BFST® Wrap stimulates blood flow in the affected area, working to actively heal your damaged tissue. The promotion of blood flow to the injured area helps speed up the healing process. It's time to finally heal and feel better. Our ColdCure® and BFST® medical devices are the ultimate treatment solution for your Tendonitis. Every ColdCure® and BFST® Wrap is custom designed for the body part you're treating. The Wrap molds to the shape of your body to provide you with complete coverage of the injured area. Combination Therapy means using ColdCure® and BFST® in combination by alternating treatments. Combination Therapy is much more effective than using just one product or the other, especially for people who are active. This is because you're getting the pain and swelling relief of ColdCure®, plus the healing benefits of BFST®, resulting in the absolute best treatment for your Tendonitis. Do a BFST® treatment prior to any exercise you do. This will act as a warm up for your circulatory system and help to limit the amount of re-injury that may occur during physical activity. Do a ColdCure® treatment following any exercise that you do. This will work to reduce any internal inflammation that could cause the affected tendon to become compressed inside the sheath surrounding it. I suffer from tendonitis in my arm and have not been able to sleep from the pain. Since using the cold cure for only a few days I already have full range of motion in my arm and wake up pain free in the morning. I will recommend King Brand to all my friends. KB Support Tape provides compression for your injury throughout the day, without restricting your range of motion. It also helps to prevent re-injury by providing you with targeted support and protecion. The 2 inch wide Tape comes in 4 different colors: Pink, Blue, Black & Beige. The 3 inch wide Tape is available in Black & Beige. There is no functional difference between the colors, they just allow you to express your individual style. The Continuous Rolls of KB Support Tape are ideal for you if you're looking for a more customizable tape. You can cut the Tape into a variety of different shapes and sizes to achieve a completely unique application for your Tendonitis. Each box contains 1 Continuous Roll of KB Support Tape that is 2 inches or 3 inches wide and 16 feet long. We encourage you to try a variety of applications for your Tendonitis in order to find the one that works best for you. There are plenty of examples online. Remember to use the pain as a guide. If you feel pain in a specific area, apply the tape there. Every BFST® and ColdCure® Wrap purchase comes with the free professional consulting services of our King Brand® Advisors. 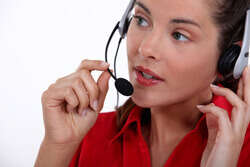 One of our helpful Advisors will contact you 4 or 5 days after your order has been delivered. This is to ensure you have received your order, find out how your treatments are going, and answer any questions you may have. Our Advisors have been thoroughly trained on BFST® and ColdCure® technology and treatments. They are also highly knowledgeable when it comes to treating Tendonitis. They spend all day every day giving people treatment advice and guidance. They truly care about your recovery. While one of our Advisors will follow-up with you directly, you are welcome to contact us if you need any help. We are here to help you every step of the way. Your recovery is very important to us. King Brand® BFST® and ColdCure® Wraps are FDA Registered medical devices. They have also passed the Health Canada, ISO 13485, ISO 10993 and IEC 60601-1 3rd Edition approval processes. ISO 10993 in particular is important when it comes to material safety. This standard ensures that our devices are made from biocompatible materials that are safer than those used to make most baby products. Our medical devices are manufactured and tested to the highest safety standards in the industry. Note from KB WebMaster - The text below is primarily intended to assist with Google properly classifying this page content. To learn more about our products please visit our website.<br>Tendonitis is inflammation or injury to a Tendon. Most commonly Tendonitis is from repetitive strain injury - or an over worked tendon in layman's terms. Achilles Tendonitis is the most common form of Tendon injury though tendonitis of all the other tendons in your body plagues millions of people. The pain of tendonitis is real. A swollen tendon hurts a lot and stops you from being active. Tendon injury is the most common form of sports injury. When you have an injured tendon you nead to let the tendon heal. To speed up the healing, to heal as fast as possible, you need to treat your tendon with BFST treatments. BFST treatments help your tendon heal quickly. ColdCure treatments help relieve pain. 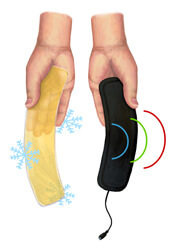 Relieve tendon pain by using a ColdCure wrap many times each day. Symptoms of tendon injuries are cured by ColdCure treatments. Tendonitis is painful. Tendonitis can be treated. You can heal tendonitis quickly and you can treat tendonitis completely with the proper treatment. An injured tendon needs to be treated quickly to heal properly. BFST and ColdCure treatments are natural treatments that help you heal fast. We have BFST and ColdCure wraps for ankle tendons, elbow tendonitis, achilles tendonitis, leg tendons, tendon tendons, for every tendon in the body. If you have tendonitis (or tendinosis) we have a treatment. Some people spell it tendinitis but more commonly tendinitis means tendonitis. They are the same thing. Tendinosis is the inflammation of the tendon sheath that surrounds the tendon. Tendinosis is RSI. Tendinitis can also be cause by over stretching or a sudden injury causing a tendon tear. Tendon tears can be partial tendon tears or complete tendon tears. A complete tendon tear needs to be treated with Tendon Surgery. It's interesting how popular these products are, from Toronto Ontario to Los Angeles California the reviews are excellent. King Brand Products Work!